A special highlight at the 2017 Expo will be the Brian Tanti Working Workshop featuring internationally respected restorer, coachbuilder and Fox Car Collection Curator Brian Tanti in live demonstrations of some of his current projects. Brian Tanti will demonstrate traditional skills associated with restoration and coach building disciplines, many of which pre-date the motor car. He will also showcase new technologies such as 3D printing, scanning aids and specialist disciplines as they apply to restoration and panel fabrication. 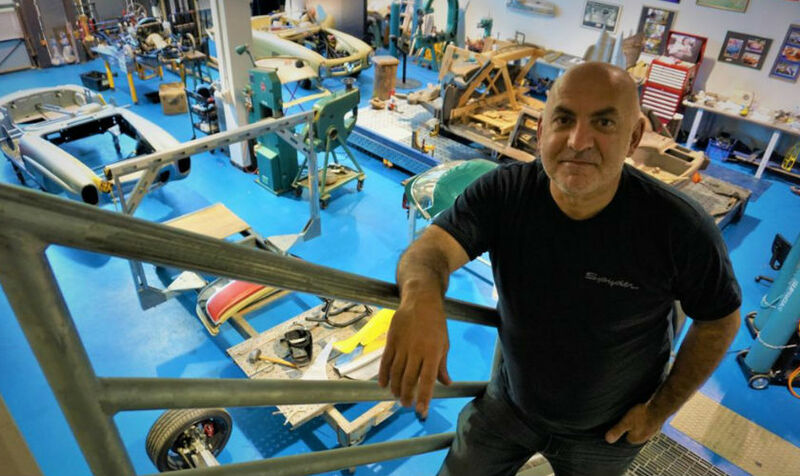 Brian Tanti is a leading voice in the automotive industry, his original automotive design work has been exhibited in art galleries and museums, his car restorations have won major awards. He was also a co-presenter of the Discovery Channel TV series Car Chronicles. View a Brian Tanti Workshop teaser video at https://youtu.be/vqxY5a_bpNM.